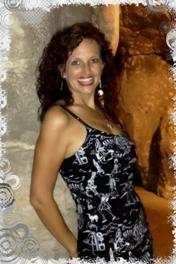 Piano and Voice Teacher Joanna Crews | Orlando Premier Music Instruction! Joanna, the owner and founder of OPMI has been teaching private and group lessons for 13 years. She began music lessons as a child and began composing songs when she was in the 3rd grade. Joanna graduated with a degree in Vocal Performance from the University of South Florida in Tampa with a concentration in composition and electronic music. Since then she has founded this business and has obtained a teaching degree in Elementary Education and Music K-12. She has performed original compositions at several venues including Hard Rock Live, and has performed in various weddings, funerals, and private functions. Always had a love for theater and has directed several shows including Willy Wonka JR, Alice in Wonderland Jr, Bugsy Malone Jr, Shrek Jr, to name a few. She is a member of FEMEA, (Florida Elementary Music Educators Association), and NAfME, (National Association of Music Education). She is constantly striving to provide her students and instructors with new and innovative music learning techniques and a positive, well rounded approach to music education and performance.